It depends on the type of contact lenses you choose. Most people find soft contacts — hydrogel or silicone hydrogel contact lenses — are immediately comfortable. If you choose rigid gas permeable contact lenses (also called RGP or GP contacts) or hybrid contact lenses, it might take a couple weeks or longer for your eyes to fully adapt to the lenses. In rare cases, a person might not ever feel comfortable wearing contact lenses. The exceptions are daily disposable contact lenses and some extended wear contacts that are discarded every time they're removed. With these, you throw them out when you're done wearing them, so there's no care regimen at all. can help you locate and remove the lens. That depends on how responsible the child is. This decision is best made jointly between you, your child and your eye doctor. Please see our Contact Lenses for Kids article for more information. Reusable hydrogel and silicone hydrogel soft contact lenses can last up to a year; rigid GP contacts can last even longer if they are properly cared for. Frequent or planned replacement soft contact lenses last one to several months. Disposable soft contacts last from one day (daily wear) to up to two weeks (extended wear). Many doctors highly recommend disposable contact lenses. They are an excellent choice health-wise, because there is less opportunity for protein and bacteria to build up on them. Also, if you wear daily disposable contact lenses, which are discarded at the end of the day, you won't need to buy contact lens solutions to clean and disinfect them after each use. Extended wear contacts let you start your day with clear vision. determines the maximum amount of time that extended wear lenses can be worn before removal. Some brands are approved for up to seven days of continuous wear; others can be worn for up to 30 days. Comparison shopping is the best way to save money. Read about how to comparison shop for contact lenses. In the United States, the Fairness to Contact Lens Consumers Act gives American consumers the right to receive a copy of their contact lens prescription so they can purchase replacement lenses from the vendor of their choice. The federal law requires that contact lens prescribers provide patients a copy of their contact lens prescription after a contact lens fitting. It also requires that the prescriber verify the contact lens prescription to any third party that the patient designates, such as an online merchant. Read more about your contact lens prescription. I'm looking for a specific type of contact lens. Do you know where I can find it? If you don't have a contact lens prescription for the lens you are interested in, you must first visit your eye doctor for an eye exam and a contact lens fitting. This is true even if you don't need vision correction and are interested in only colored contacts or novelty (special-effect) contact lenses. Why? The FDA considers contacts to be medical devices because you put them in your eyes; it has created these guidelines for your safety. Plus, each contact lens and each person's eyes are a little different, so the doctor needs to perform a specialized fitting for you. When contact lenses don't fit correctly, they can cause serious eye problems. For more information about new and existing contact lenses, visit our Contact Lens section and our What's New in Contacts pages. Yes. Read about bifocal contact lenses and monovision. All About Vision is an informational website only. We don't sell any products. If he asked you to come back about a week later, it's because he wants to be sure that you're not having any problems, such as contact lens-related dry eye or eye irritation. 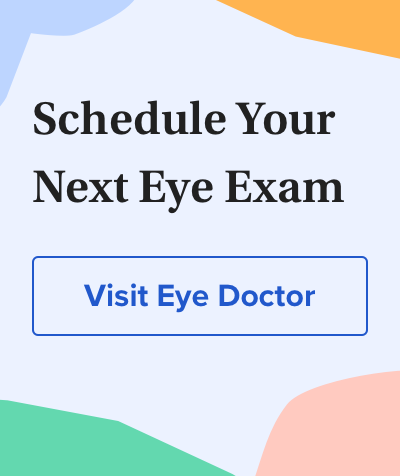 If it's about a year later, it's to check whether your prescription has changed and to check for any eye diseases, which are best treated in their early stages before any vision loss can occur. Read more about eye exams. According to the most recent data published by the U.S. Centers for Disease Control and Prevention (CDC), an estimated 45 million Americans wear contact lenses — including 3.6 million adolescents ages 12 to 17 years (14.5 percent of adolescents), 7.5 million young adults ages 18 to 24 years (24.4 percent of this age group), and 33.9 million adults age 25 and older (15.5 percent of this age group). Stated another way, an estimated one in seven adolescents and one in six adults in the United States wear contact lenses. Are contacts bad for your eyes?Are contact lens and eyeglass prescriptions the same? Are contacts expensive?Are contacts hard to put in?Are contacts safe for kids?Are my contact lenses inside out?Can contacts cause headaches?Can contacts get lost in your eye?Can contact lenses damage your eyes?Can contacts be stored in water?Can I buy contact lenses without a prescription?Can you swim with contact lenses?Can you use water as contact solution?Contact lenses vs. eyeglasses: which are best for you?Contact stuck in your eye?Do contacts make your eyes worse?How contacts are madeHow contacts workHow much do colored contacts cost?How much do contacts cost?How to choose contact lensesWhat are contacts made of?What color contacts should I get?What contacts are right for me?What contacts did they use in Twilight?When were contact lenses invented?Which contact lenses are the best?Which contact solution is the best?Why do contacts burn?Why do contacts hurt my eyes?Why do contact lenses expire? Risk behaviors for contact lens-related eye infections among adults and adolescents — United States, 2016. <em>Morbidity and Mortality Weekly Report</em>. U.S. Centers for Disease Control and Prevention. August 2017.